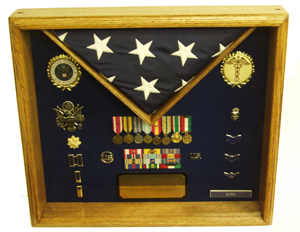 There are three different systems used in calculating military retirement pensions. Most people are familiar with the current system which grants a 50% pension after the service member has reached twenty years of service. The 50% is currently calculated off of their highest earning three years of service. But, that is not the only way the government has offered military pensions. With the recent introduction of the REDUX option, there is a great need to know the other systems used to calculate military pensions and the costs and benefits that members of the military must weigh in order to choose their best option. Military pensions depend on the date you first entered service and the options that you choose. For members of the military who entered service prior to Sept. 8, 1980, retirement income is worth 50% of final their basic pay. For every year beyond twenty years of service, their pension is increased by 2.5% per year up to a maximum of 75% of basic pay if 30 years of active service was served. This is the only option available to members of the military who joined prior to September 1980. Other options have since been implemented into the retirement system to give service members more choices. Military retirees who entered service between September 8th, 1980 and August 1st, 1986 fall under the retirement system that is known the known as “High Three”. High Three calculates 50% of the service member’s average basic pay over their highest earning three years of service which is almost always the last three years. For every year beyond twenty years of service, the pension is increased by 2.5% per year up to a maximum of 75% of basic pay. In some cases, senior members of the military can now continue to serve for forty years of federal service and receive 100% of their base pay in retirement as pension. Those who entered military service after August 1st, 1986 can elect to receive their retirement pension under the High Three plan or by selecting the REDUX option. REDUX offers a $30,000 bonus at the fifteenth year of service, but it reduces a service members future pension benefits at the twenty year market to only 40% of average basic pay over a member’s highest three years. The REDUX retirement option also uses lower inflation adjustments over the course of a retiree’s lifetime. For most people and in most circumstances, the loss of 10% of your retirement over the course of a retired lifetime far outweighs the benefits received of a $30,000 one-time payment at the fifteen year mark. Another drawback is the reduction in cost of living adjustments. Under the normal High Three plan, cost of living in increased by the Consumer Price Index (CPI) or approximately 3.5% per year (this year) to keep up with inflation. This is a great option that is not always included in many civilian pension plans. But, under the REDUX plan, participants would only receive a 2.5% increase until the age of 62 when they are readjusted again to the full 3.5%. While 1.0% does not seem like much, but it is magnified when factored in over a lifetime of retirement benefits that can span into decades of lost future benefits. There are many choices for members of the military as they approach retirement age. Many must make major life choices at the fifteen year mark of service that can have an impact which could potentially cost them hundreds of thousands of dollars in lost retirement benefits. It is important to understand the different ways military pensions are calculated and to choose wisely.